Royal Lunch at Rajdhani, Phoenix Mall, Chennai. Sweaty summer afternoon in chennai and we were invited for a Royal lunch at Rajdhani that opened its 3rd outlet in chennai at the Phoenix city Mall at Velachery. This is the first time I was tasting the much talked about Rajdhani food. And what a way of doing it with like minded people. 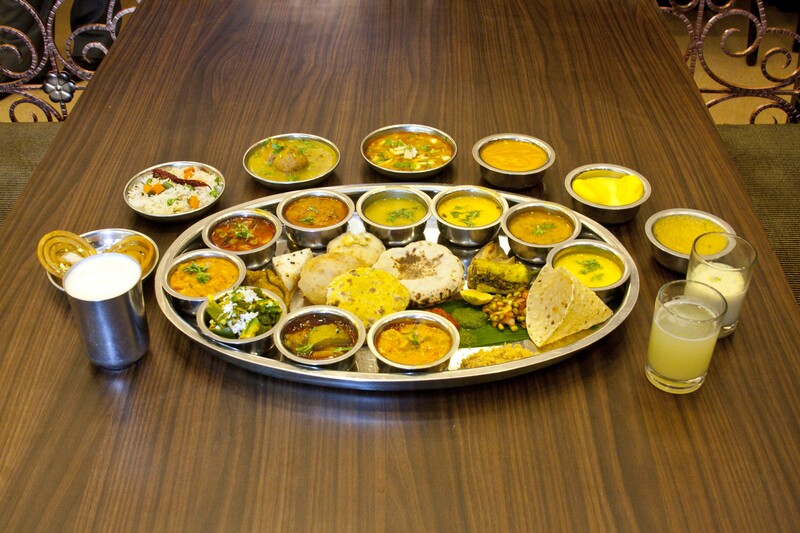 The Thali consisted of many items that I had tasted in the past when I was in Mumbai and all these were more of home made authentic food. 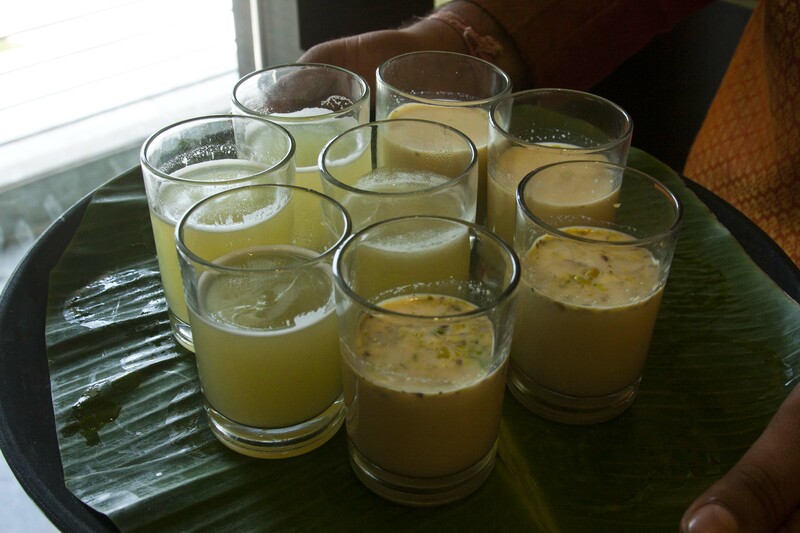 My reviews of the lot that I had in Rajdhani were Welcome Drink – Both the Keri Panna and the Thandai was good, expect that keeping the chennai heat in mind could have been served chilled. 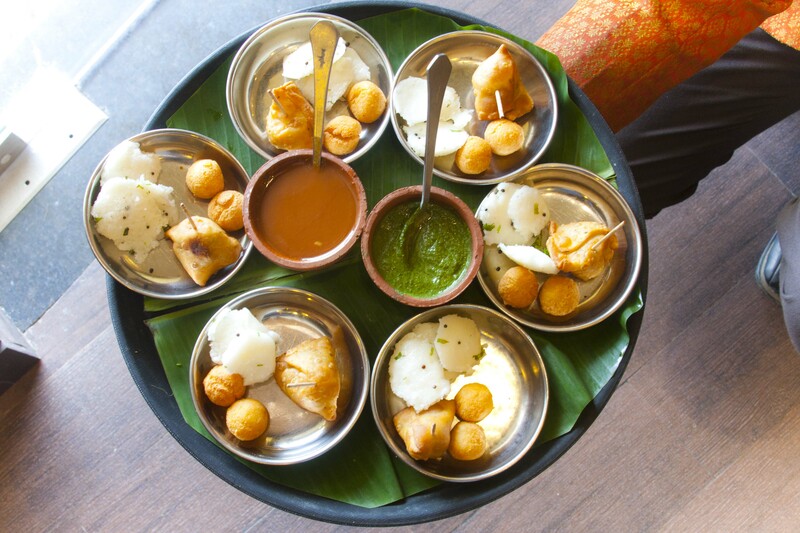 Farsan – Garlic Dhokla and the cheese pakoda were not only good, but was something different from the usual run of the mill menu. Special of the day – Dal Dhokla was nice, but the Aam ki Launji was divine. The dish that i thought was a little different and very good, since i have never tasted it before was Koyya Roti with Aam ka chutney, awesome combination and Fab taste. As far as the main course was concerned, frankly there was nothing that was bad, but there were so many items guess i could not figure out one from another The gujarati Kadhi and Dal were wee bit sweet. I know they are usually sweet, but these were very sweet, but that was not a concern, since they did have the normal dal and kadhi. 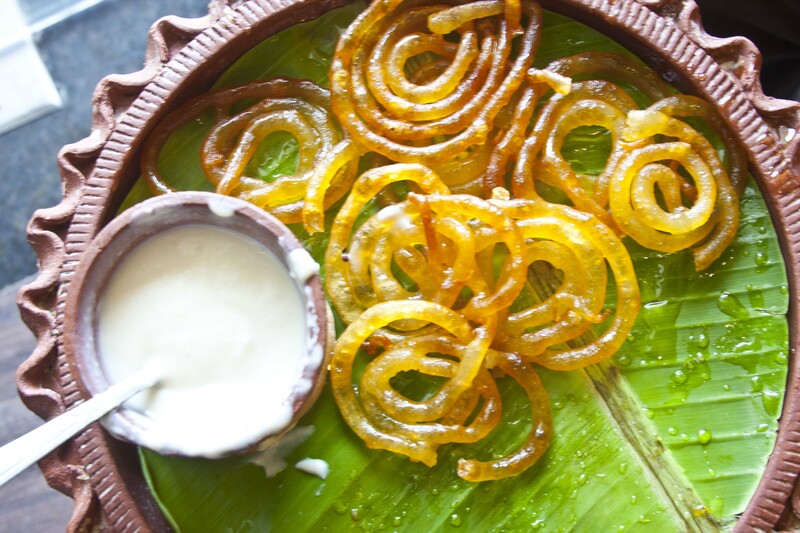 Coming to the Desserts – The Pineapple Halwa and Crispy Jalebi stole the show. The Aam Ras though we were told were made of fresh mango did not taste so. Overall Experience was good, Hospitality was very good, ambience was decent too, Kitchen was nice and clean is what i was told by my friends. My two bit – If menu could be of multiple choice instead of forcing all dishes on a person in one visit. The person can eat a few dishes and enjoy it and come next time for more. The prices also could be reduced accordingly. Thank you and all the Best! Yes, thats how its written and pronounced in north India.